Rosen Plevneliev, Bulgaria's Regional Development Minister, is now the second most popular Bulgarian politician, reaching a 45% approval rating, according to a poll conducted by the MBMD research agency. The country's EU Commissioner for Humanitarian Aid and Crisis Response, Kristalina Georgieva, once again tops the list with 52% approval. Prime Minister Boyko Borisov is he third most popular political figure among the poll's 1011 respondents. The Prime Minister is followed by Interior Minister Tsvetan Tsvetanov with 36%, former EU Commissioner and potential presidential candidate Meglena Kuneva with 35%, current President Georgi Parvanov with 34%, Agriculture Minister Miroslav Naydenov with 33% and Sofia's Mayor, Yordanka Fandakova with 31%. On Thursday, Borisov claimed it was "99.99% sure" he will not run for president. Kristalina Georgieva is not eligible, since she has not lived in Bulgaria, which is a necessary requirement under the Bulgarian legislation. 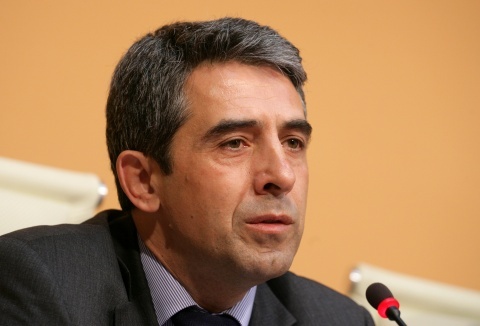 Plevneliev has stated on several occasions he does not intend to run, as he considers himself an expert and not a polititian. According to the same poll, Borisov's ruling, center-right Citizens for European Development of Bulgaria, GERB, party would score full majority in the Parliament if the elections were to be held at the present moment. After taking out of the estimations the 34%, who responded they do not know who they will vote for – GERB will get 52% of the vote; Coalition for Bulgaria – 26%, while the other formations to secure seats in the Parliament would end up being the Blue Coalition with 6% and Ataka with 5% - all meaning GERB is to get full majority in the Parliament.